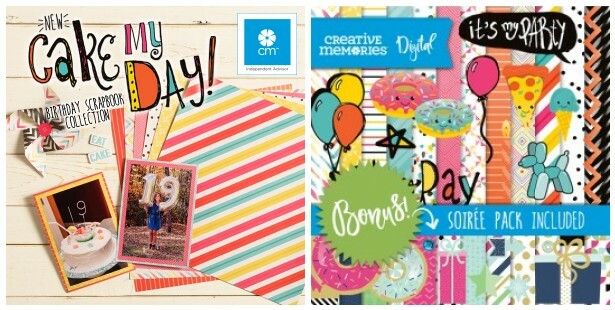 One of Creative Memories new collections for January, Cake My Day, is perfect for birthday layouts and cards. The papers feature bright colors and designs that work for boys and girls of all ages, and the stickers have fun artwork and great sayings. 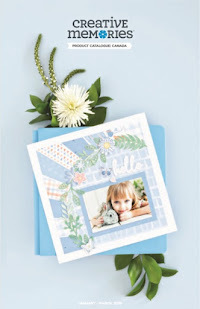 I knew that it was the perfect collection to use to highlight a sweet photo of my younger son Sam, and since it is also available in digital format*, I figured I would use it along with Artisan 5* to create a fast and fun layout! Now, even though I make many sketches to provide inspiration and starting points for others, some days I could use a bit of inspiration and a starting point myself! 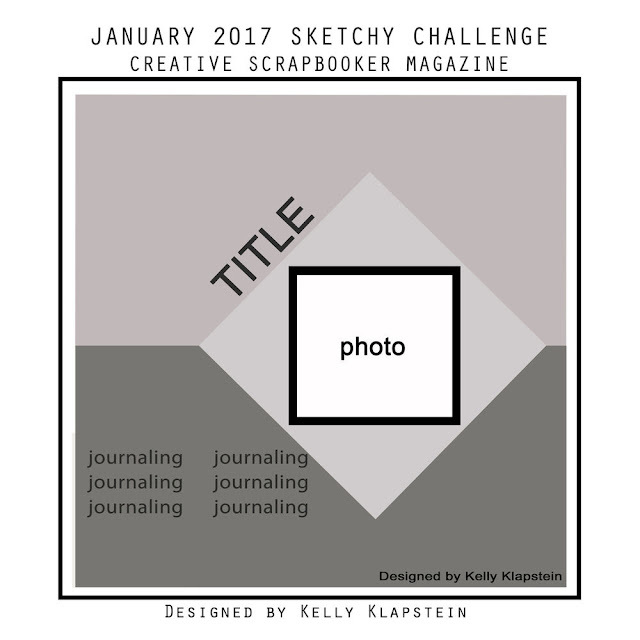 There are plenty of sketch sites around, but did you know that my favorite scrapbooking magazine offers a monthly sketch AND an opportunity to share your layouts with other scrappers? 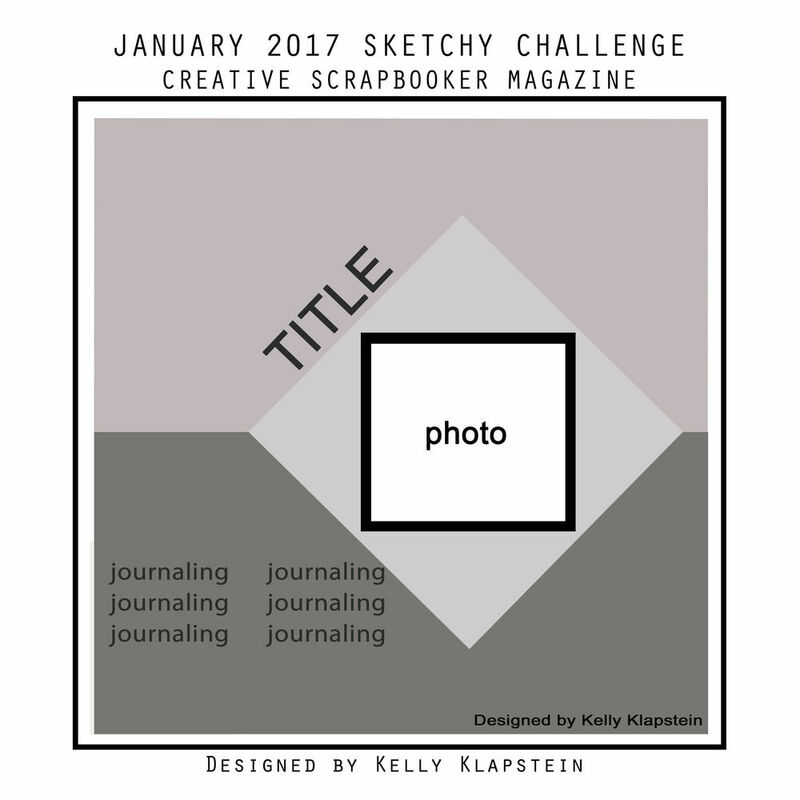 Yes, Creative Scrapooker Magazine has a Sketchy Challenge that features a monthly sketch by Kelly Klapstein as well as a forum where you can view what other scrapbookers have created based on the sketch. And, you can search back through the archives for additional sketches and examples! There is lots of inspiration here! I added a couple of background layers and made the division between the top and bottom of the layout more apparent by leaving a space between the two shapes and adding an arrow border which points towards the focal photo from both sides. I moved the square shape and photo into the centre of the layout. Instead of one photo, I added a couple of extra photos from the same event, but kept them small so the focus remains on the main photo. Instead of writing traditional story-type journaling, I created the journaling with the word stickers from the digital embellishments. There were no embellishments indicated on the sketch so that left it wide open to the imagination! 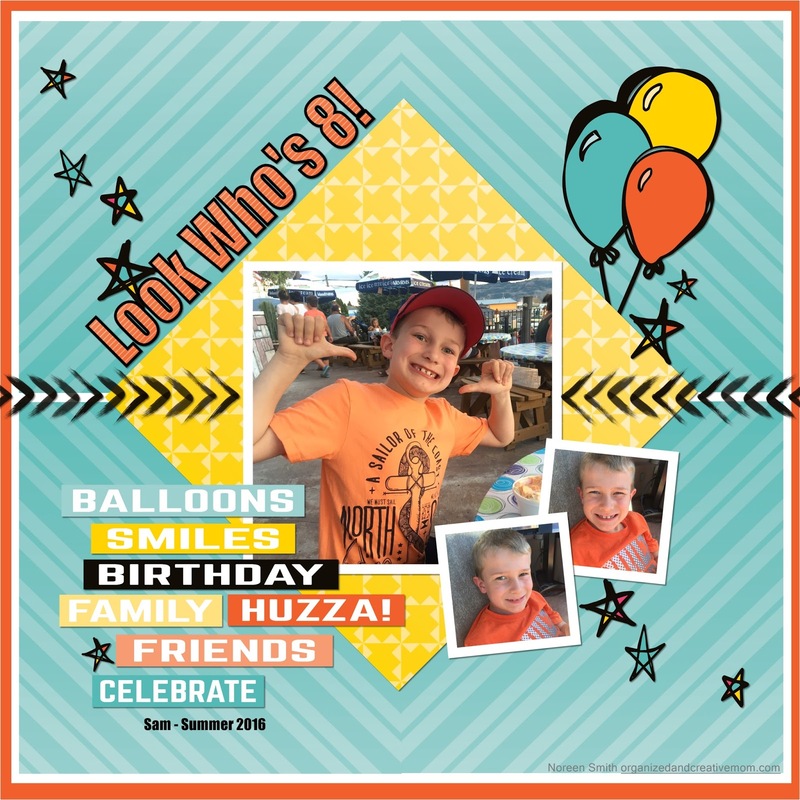 From a design standpoint, the title and the additional small photos balanced each other out, so I added the balloons to balance the journaling strips. I also added stars in a pattern that draws the eye from the top left corner of the layout to the bottom right corner. Rotate it to get another/different version. Create a mirror image of it to make it into a double page spread. Add or subtract a photo. Switch a photo for journaling or vice-versa. Add embellishments to your hearts content! As someone who designs sketches, I think that the biggest compliment you can give when using a sketch is to MAKE IT YOUR OWN! 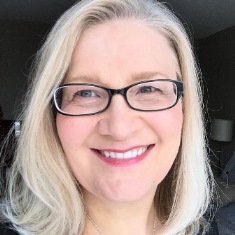 Give Kelly's sketch a try and consider uploading your layout to the Creative Scrapbookers Sketch Gallery - I can't wait to see what you come up with! 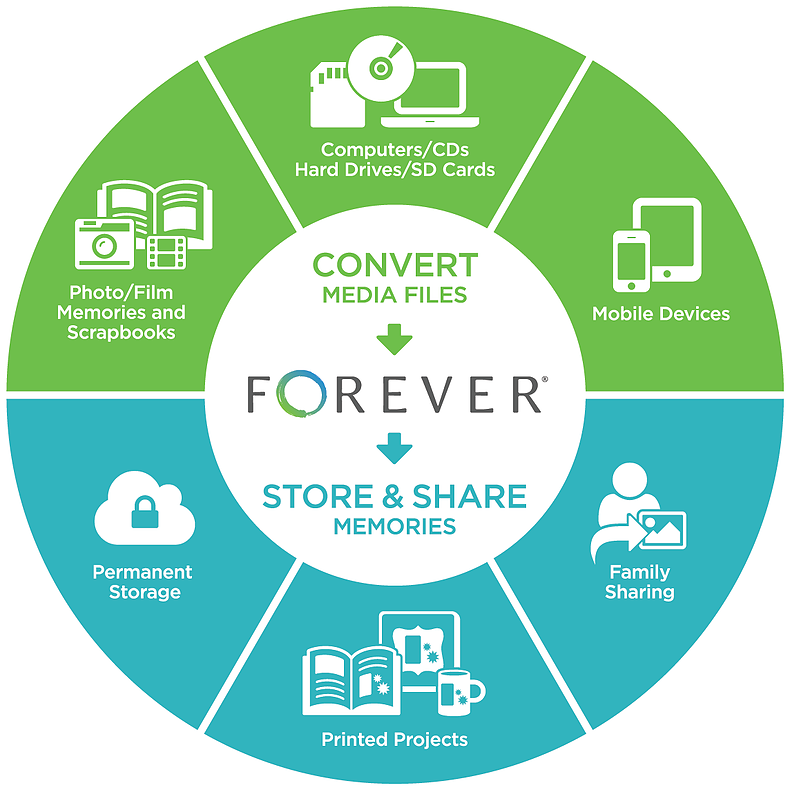 *You can purchase and download CM Digital Artwork right from my CM website, and you can check out the Artisan 5 Software on my Forever website.